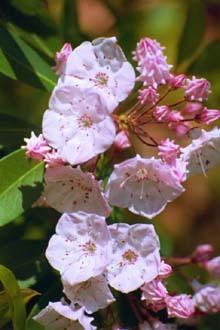 Top: Mountain Laurel, Kalmia latifolia, blooms late may through mid-July. Photographed near the summit of Soapstone Hill, Quabbin. 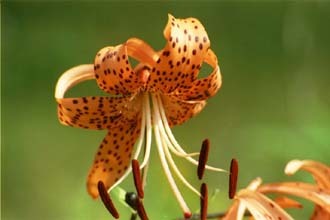 Top right: Turk's cap Lily, Lilium superbum, blooms July through September. Photographed at Women's Federated Forest, Petersham. 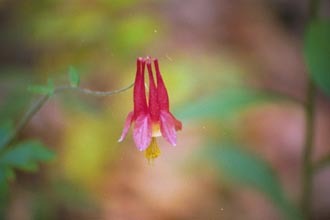 Wild Columbine Aquilegia canadensis, flowers April through July. Photographed on the lower trail to Soapstone Hill.